Richard Hilton of the Island Traffic Authority inspects the wrecked Toyota motor car involved in the crash on the Sir Florizel Glasspole Highway. At least three people have been rushed to hospital following a motor vehicle crash along the Sir Florizel Glasspole Highway in east Kingston. One person claiming to be an eye witness, said the crash happened after a woman driving a Toyota motor car towards Kingston, lost control of the vehicle, crossed the median and ended up in the path of a Jamaica Urban Transit Company bus heading in the opposite direction. The woman and two other occupants of the car reportedly received injuries. They were rushed to hospital after being removed from the car with the help of the Jamaica Fire Brigade. 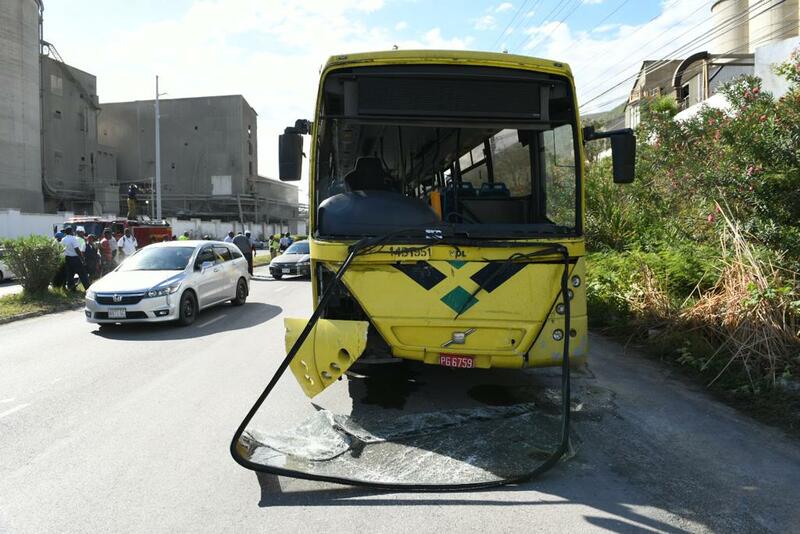 The extent of injuries received by persons in the JUTC bus was not immediately ascertained. Police personnel and other emergency workers are at the location. The crash has resulted in traffic delays.